The New Rais Q-Tee 2 Has been designed to give a stylish up to date look with the largest possible glass area, coupled with one of the highest efficiency ratings and the simplest of controls. The Rais Q-Tee 2 is a small stove with a very big combustion chamber. The large door provides a fantastic view of the flames. Q-Tee 2 Cubic. Elegant minimalist. Functional. RAIS Q-Tee II is a smaller stove with a very large combustion chamber - which makes it a perfect efficient heat source for places with limited space. 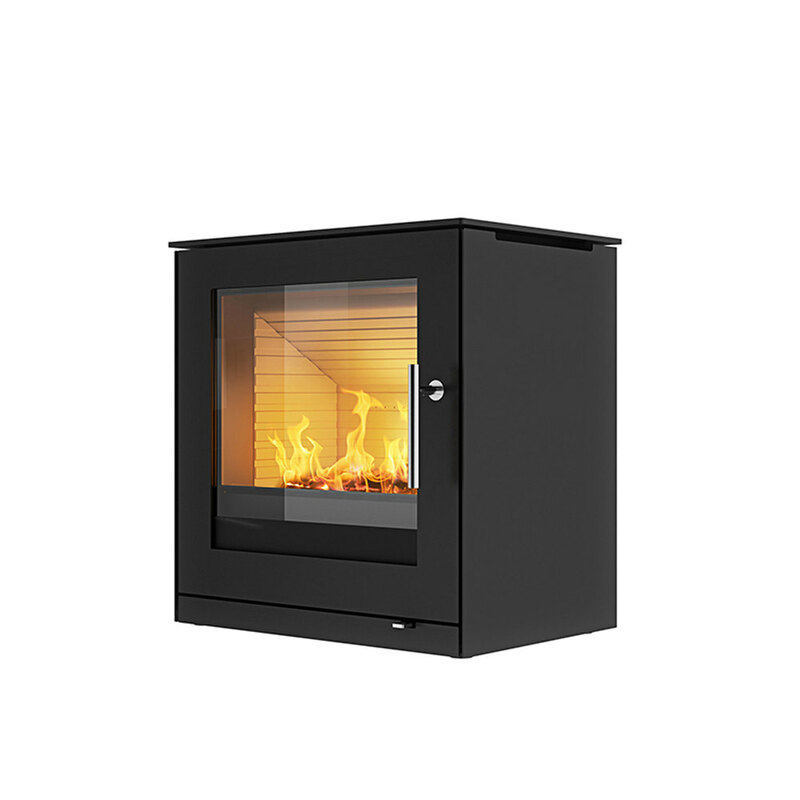 This stove is suitable for coal-firing, since the combustion chamber is reinforced and has extra air supply. Rais Q-Tee 2 with optional log store. The large window offers a magnificent view of the flames. The handle is a unique feature - a masterpiece, created by the best craftsmen.